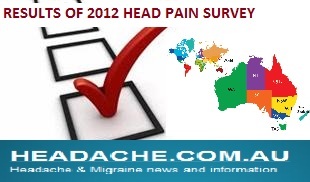 Final Results: 2014 www.headache.com.au Head Pain Diagnosis Survey. MRI & CT Scans were considered diagnostically useful in 24% respondents. Neck Scans or Xrays were considered diagnostically useful in 21% respondents. GP’s helped diagnosis in 63% respondents. Self Diagnosed: 39% respondents self diagnosed their head pain. Neurologists assisted diagnosis in 39% respondents. Allied Health Professionals (ie: Optometrists, Dentists, Chiropractors) assisted diagnosis in 10-20% respondents. According to Dixon, the editor www.headache.com.au, most sufferers are diagnosed without the need for expensive scans and tests; by health professionals who understand the problems. Health professionals such as GP’s, Optometrists, Chiropractors, Neurologists, Dentists usually have the skills and knowledge to diagnose the type of problem without scans, but may refer the patient for scans for a variety of reasons; as well as inter-refer to more appropriate specialistsâ€. He also noted that a large proportion of sufferers attempt self diagnosis, but warned that it can be hit or miss and potentially delay the application of effective therapies. Its always reassuring to have a professional diagnosis, he said. With regards to costs, the survey found that 42% respondents spent more than $1000 to find a diagnosis (excluding treatment costs). As per a recent US study-this represents a huge burden on the health care system, according to Dixon. Especially where multiple scans are prescribed to confirm a negative diagnosis(one where no problems are identified). Please email Dr Dixon on info@headache.com.au to arrange a time to discuss.